Way back in 2008, YouTube replaced Yahoo as the second most popular search engine. 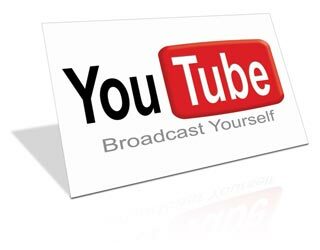 Although, since then, the likes of Bing have gained massive popularity, YouTube remains one of most popular search engines available, and it is a media we ignore at our peril. Alan Young has operated a YouTube channel since 2008, however, with the recruitment of Dave Flatley in September of this year, the company is now building on it’s existing video offerings. The first four video productions from Dave are now on the channel, along with some of our favourite videos which we hope you will find useful and / or entertaining, with offerings from sources as diverse as HMRC, Companies House and Monty Python! Feel free to check out the channel, at any time, and we will endeavor to update it as and when we find what we feel are suitable videos for our clients / subscribers. This entry was posted in Business, News & Events. Bookmark the permalink.